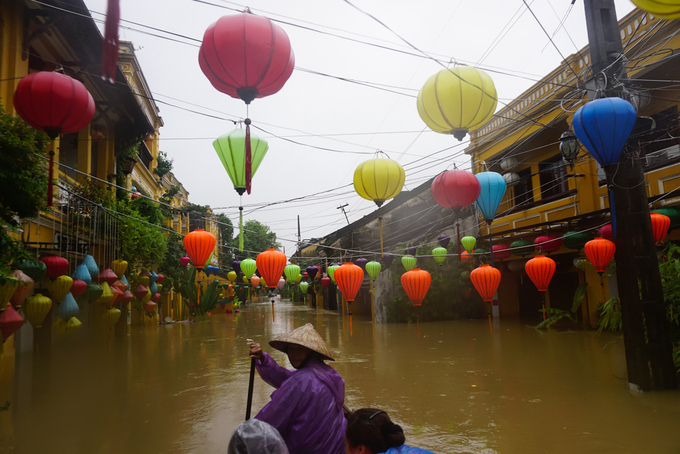 The only way to travel around the UNESCO listed ancient town is by boat as water levels peaked yesterday at nearly 4 meters (13 feet). 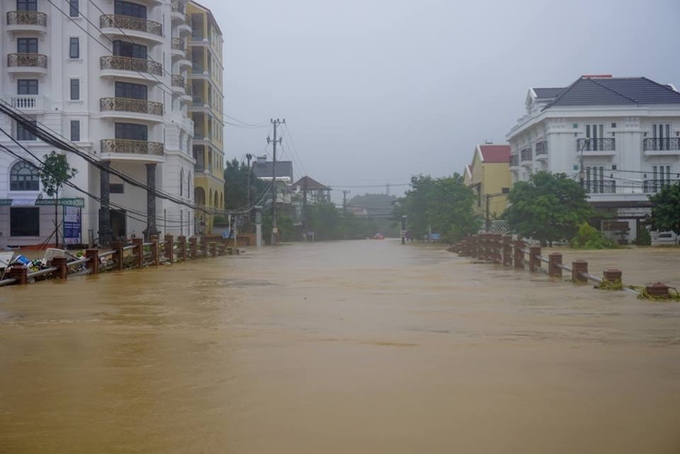 As of 1 p.m. on Monday, the Thu Bon River's water level at Hoi An peaked at 3.11 meters (10.2 feet), which is 1.11 meters above level 3, the highest level of emergency. 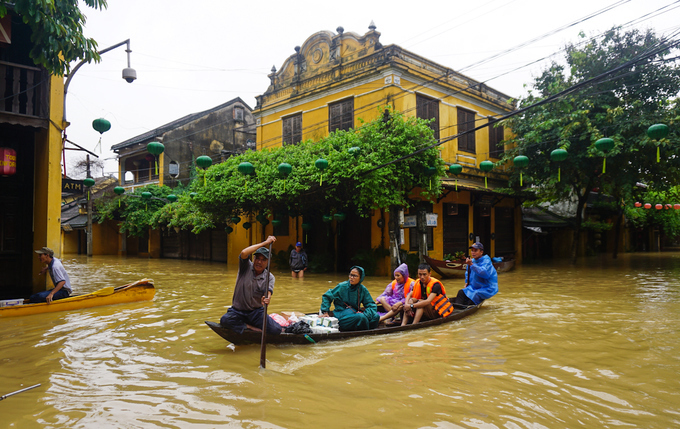 More than 50 percent of the ancient town has been submerged in flood water. 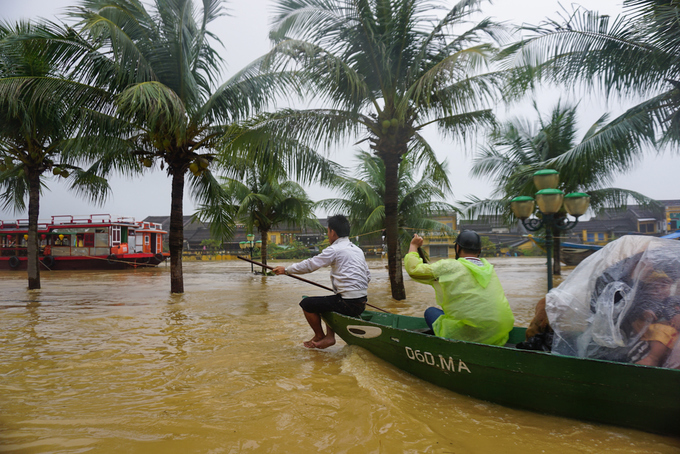 The Hoai River, a branch of the Thu Bon River, has overflown its banks, swallowing up riverside streets such as Bach Dang, Cong Nu Ngoc Hoa and Huyen Tran Cong Chua. 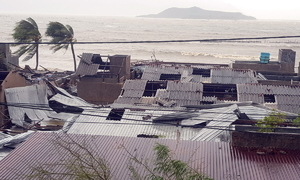 The roofs are the only part of many two-story houses that are still not underwater. 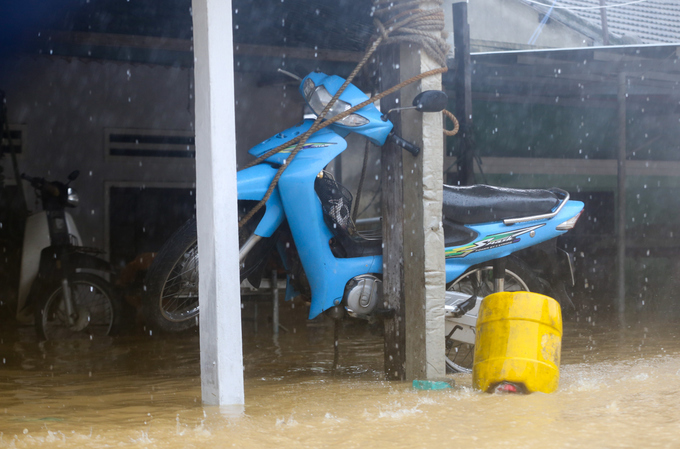 The average depth of flood water is about 2.5 meters, and many areas are even under nearly 4 meters of water. 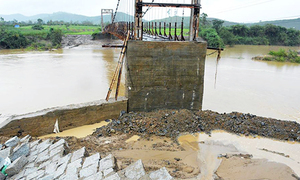 The ancient town's iconic Japanese Bridge is devoid of visitors as water has overflown it. 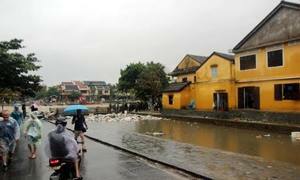 Quang Truong Bridge across the Hoai River on Cao Hong Lanh Street has disappeared under the river's water. The town's old quarter has been completely paralyzed. 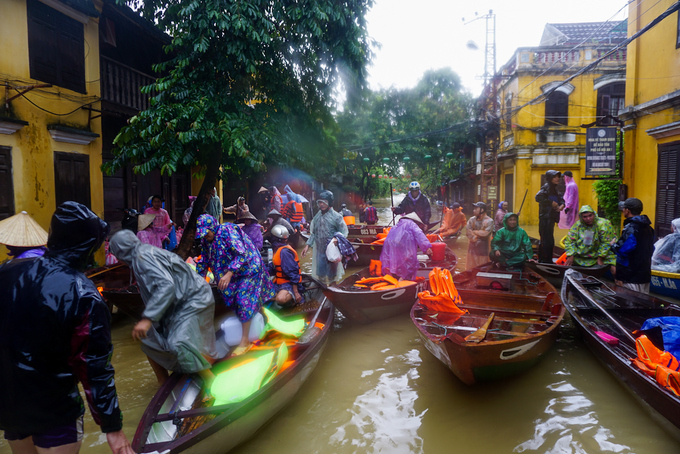 Authorities have even had to ban locals from providing boat tours to visitors. “My family has small children so we could not move away. I had to set up this ladder to get down to the boat so I could go buy food and supplies. 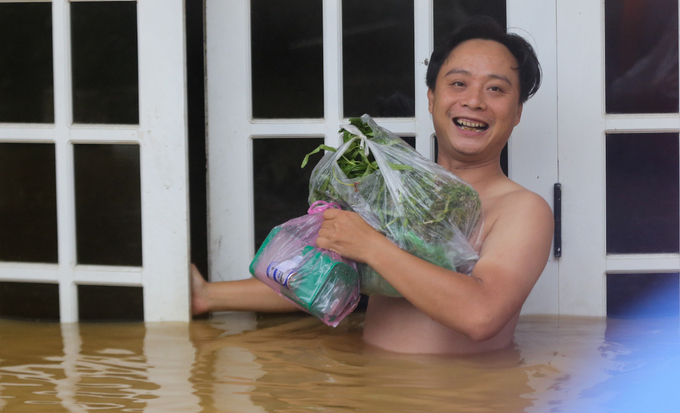 Power has been cut so it's very inconvenient living here,” another local said. 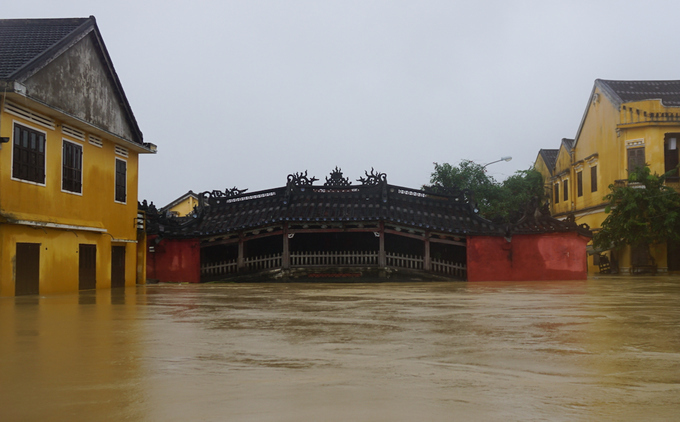 Due to being a riverside town, Hoi An is no stranger to floods. Locals have therefore been well prepared this time. Many personal belongings that their owners could not bring with them while evacuating have instead been hanged onto tall structures. 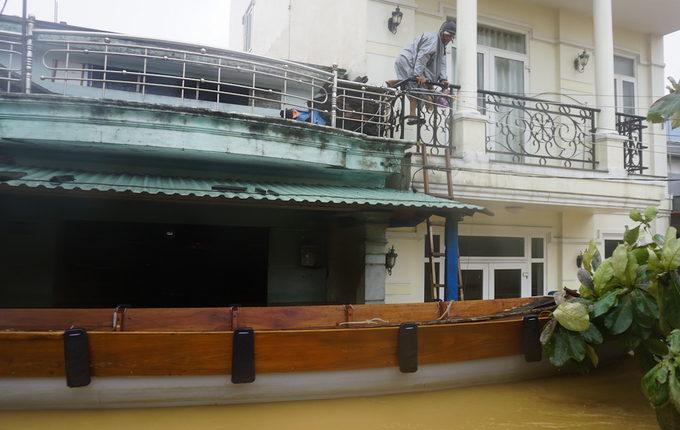 The beginning of Le Loi Street has become a temporary dock for those in need of traveling around the flooded area. 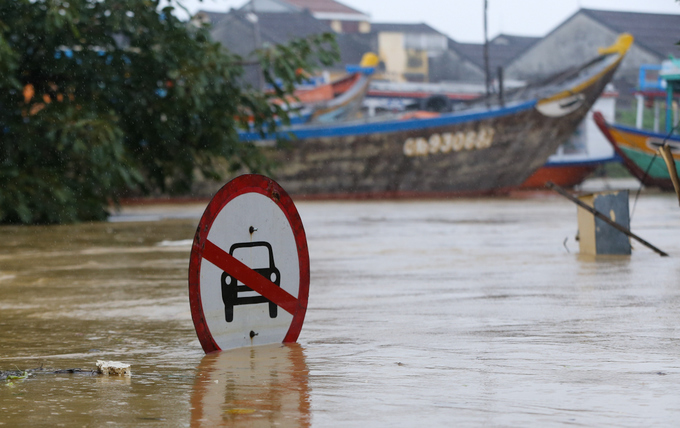 Weather forecasters said the Thu Bon River's water level in Hoi An would drop to 2.5 meters by Monday night, which would still be 0.5 meters above level 3. 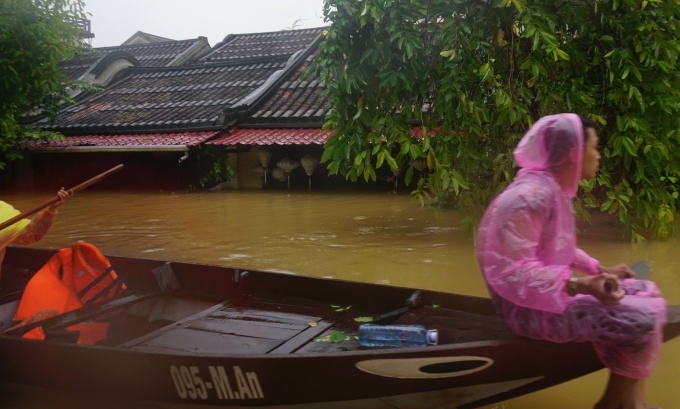 Cold air entering central Vietnam combined with the remnants of Storm Damrey, which made landfall in the region last Saturday, have brought heavy rain to Hoi An's home province of Quang Nam. 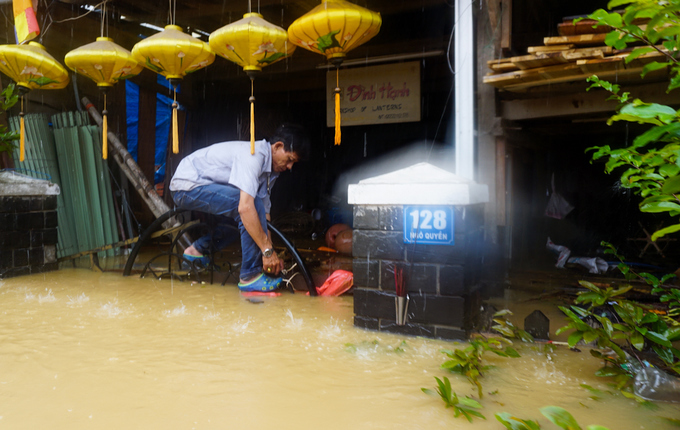 The 400-1,000 mm rain has flooded many districts and left at least 8 people dead, another 8 missing.